Sprint on Thursday unveiled new plans that promise to give customers unlimited data services for life—for $80 per month. Soon after SoftBank closed its $21.6 billion acquisition of Sprint—and Sprint’s own buyout of Clearwire—the carrier has guaranteed customers unlimited everything (talk, texting and data), no questions asked. Sprint CEO Dan Hesse said the new “unlimited, my way” initiative is an effort to pry customers away from AT&T and Verizon, while assuring current subscribers unlimited services won’t ever go away. With all the pieces recently falling into place for Sprint, Hesse said the move “clearly differentiates” itself from the other big carriers. Rival carriers currently charge customers based on how much data they use (or plan to), so the promise of unlimited data is clearly a big one. Hesse said the lack of unlimited services is a “big issue in attracting AT&T and Verizon customers.” And, better yet, Sprint’s own new plans will get cheaper once you add additional lines. The addition of Clearwire gives Sprint the capacity to guarantee such services for life. Without them, Hesse said, the carrier would have run out of gas. The new service is being offered to new and existing customers; those currently on a plan can upgrade without having to extend their contract. Your first line will run $50 for unlimited talk and text, and $30 for unlimited data (or $20 for 1GB); additional lines will run $40 for the second line, $30 for the third, and so on. No hotspot functionality is available, though you can add 1GB for $10 per line. Sprint’s big new plan will be available starting July 12, so you can make changes to your existing contract in a matter of hours. If you rely heavily on hotspot functionality, you can purchase an unlimited everything plan, called “my all-in,” and 5GB of hotspot data for $110 per month. That’s pretty good, especially when current unlimited everything costs $110 on Sprint (though that’s about to change to $80). 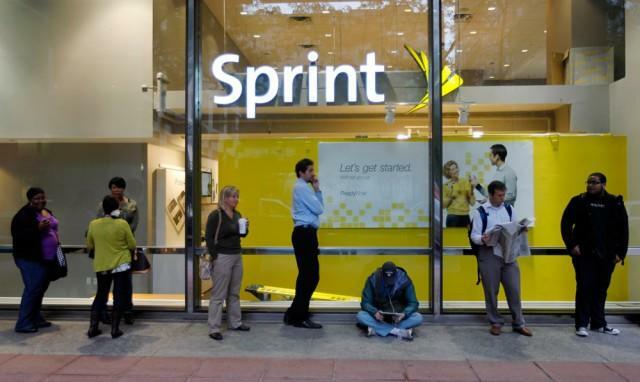 Guaranteeing that $80 price tag for the duration of your time with Sprint is a big move. It might not mean a mass exodus from competing carriers, but it certainly introduces a good reason to leave.